As expected great looking, great quality, but best of all PRICE! Very affordable and attractive. Overstock had best deal with coupon code. This user was entered into a sweepstakes after submitting their honest review. 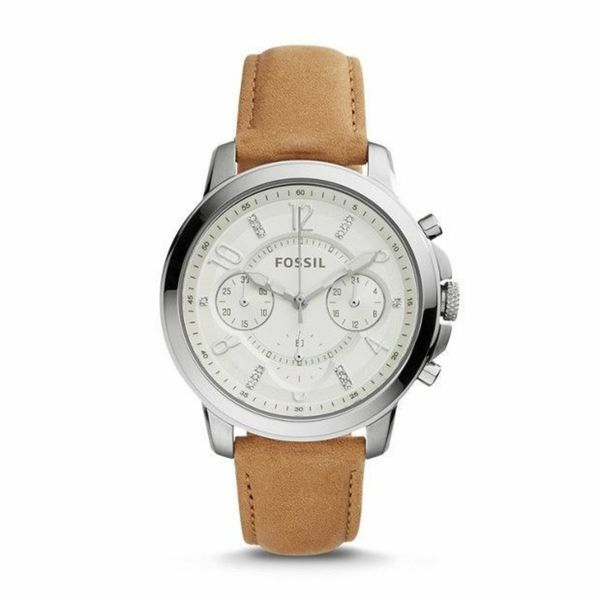 Fossil's founding principal of bringing fashion and function together is visible in their unique styles. This women's watch from the Gwynn collection features a brown leather strap and white chronograph crystal dial. As expected great looking, great quality, but best of all PRICE! Very affordable and attractive. Overstock had best deal with coupon code.